In 2011 Paul (who took this photo in 2012) and I gave Oura Oura to bush Heritage, and it is now a popular picnic spot for Launcestonians. 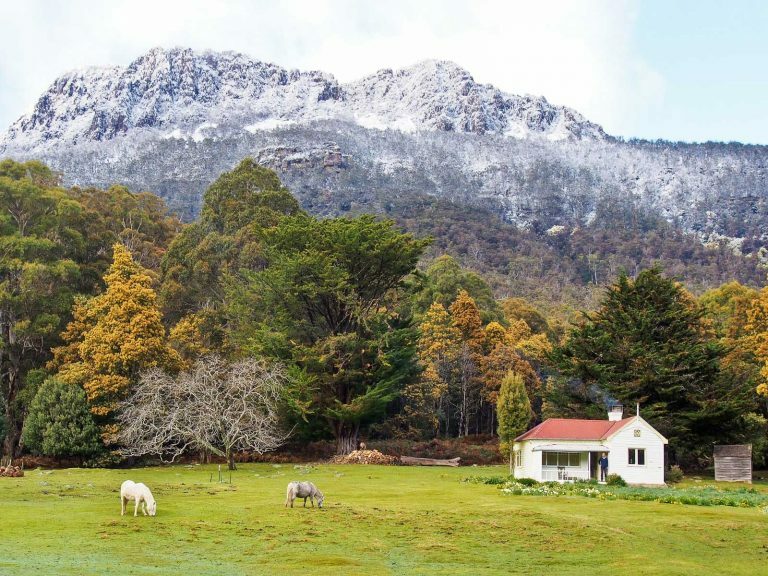 Deans Track up Taytitkitheeker (Drys Bluff, 1340 metres) rises three Empire State Buildings high above Oura Oura and is one of the most gruelling day walks in Tasmania. Up there the wallabies are extra furry because of the snow.